For 27 years, a great festival is taking place on the Santa Monica Pier and if you live in or around Los Angeles, you most probably heard of it. Yesterday was the last day of this lovely concert series and along with the Hollywood Bowl nights, these are the events that make you appreciate living in Southern California. 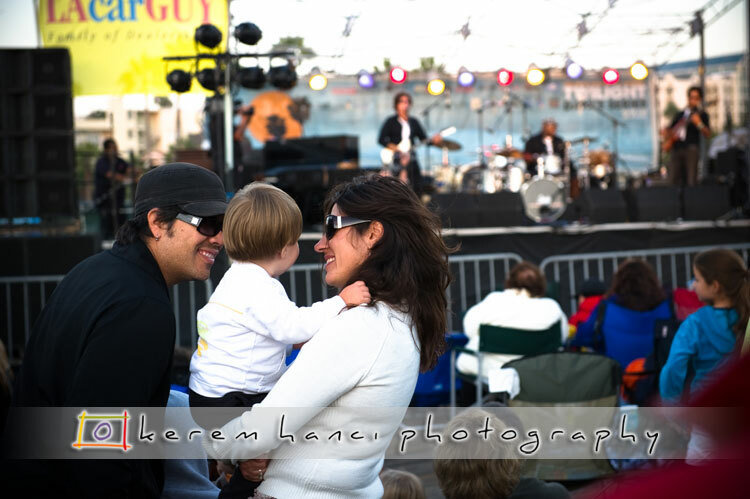 The series is widely considered one of the premiere free outdoor concert series on the West Coast. 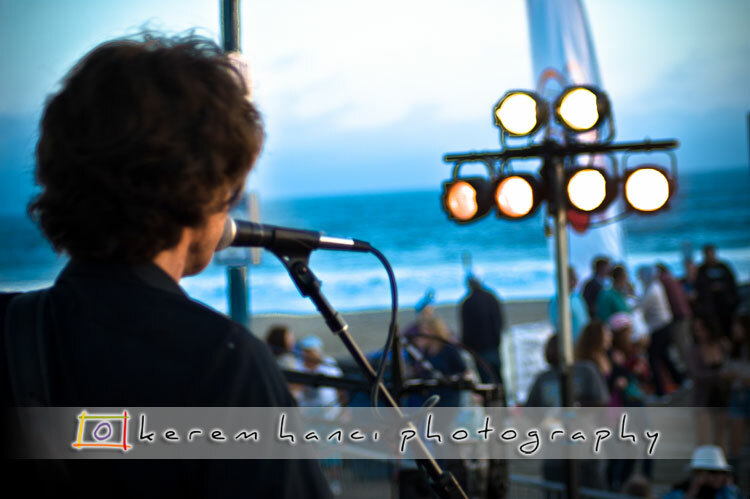 I was there to photograph the set of Olio, the winner of the Emerging Artist Competition organized by Rusty's Surf Ranch, which is also located on the pier. I will have a blog dedicated to this lovely restaurant bar that is a couple of years shy of its second decade next week. Let's get back to our sheep (as the French would say). 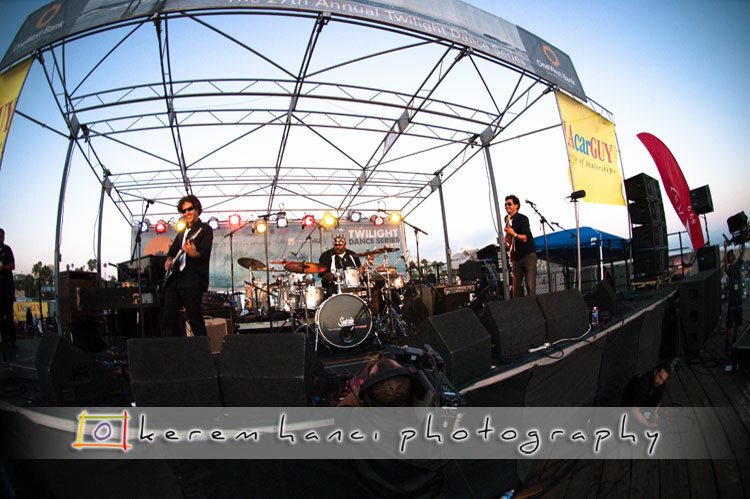 Olio took the stage on time, right around the sunset. 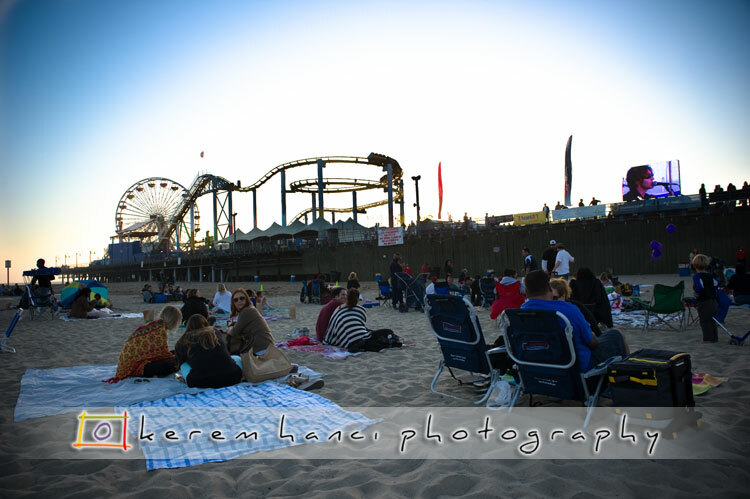 If you haven't been on the Santa Monica pier or beach before, it is one of the gems of the Los Angeles county. Although it's a bit touristic, there is a very strong local community and it really makes you feel its presence. 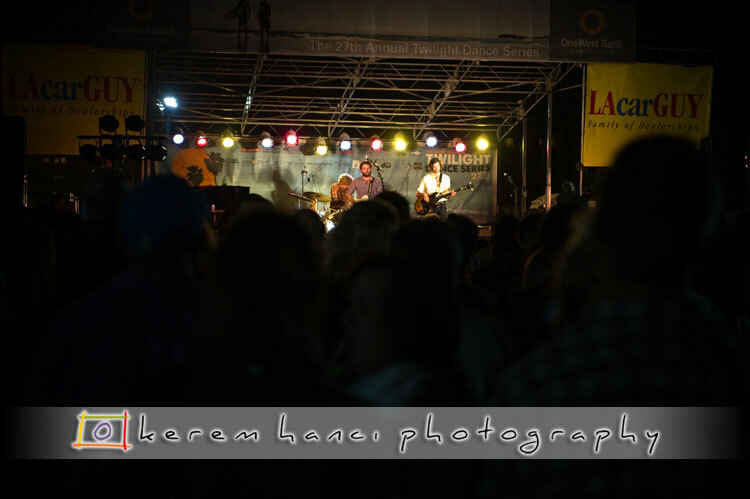 If you like live music, you should definitely do the Twilight Series next year. It's free and fun. Formed by Arif Hodzic (guitar, lead vocals) from Ontario, Canada, DeHaven (drums, lead vocals) from Fullerton, CA and Matt Sherrel (bass, vocals) from DC; Olio serves up a strong blend of rock, pop and funk, but with a keen attention to lyrics that led them to an Honorable Mention Award at the 2008 West Coast Songwriters’ International Competition. 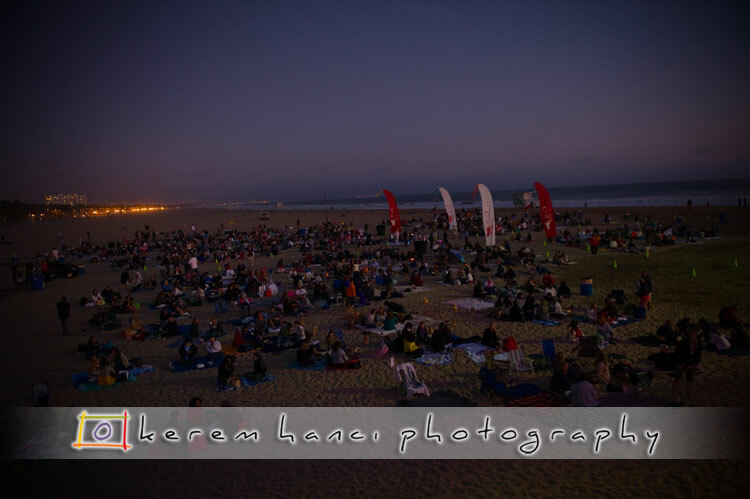 They have a fun, easy-going vibe, accommodating the PG crowd gathered on the pier. 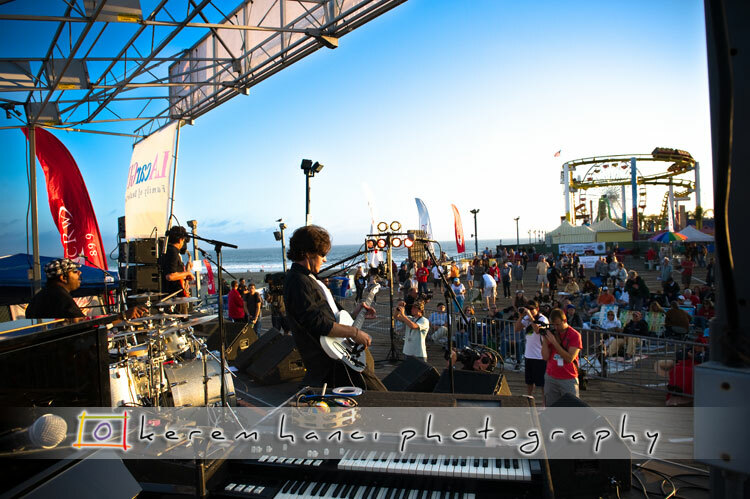 While the trio was finishing up their opening set, the sun took a dip in the Pacific and Angelinos started to fill up the pier and the beach, from where they could watch the bands on the stage thank to a big screen installed on the side of the pier. As I mentioned before, I was there for Olio and I haven't really paid attention to the second band Sonny and the Sunsets. I was getting ready for another shoot of yet another band inside Rusty's Surf Ranch. They are called The Bad Bad Things and I will have a blog on them next week. 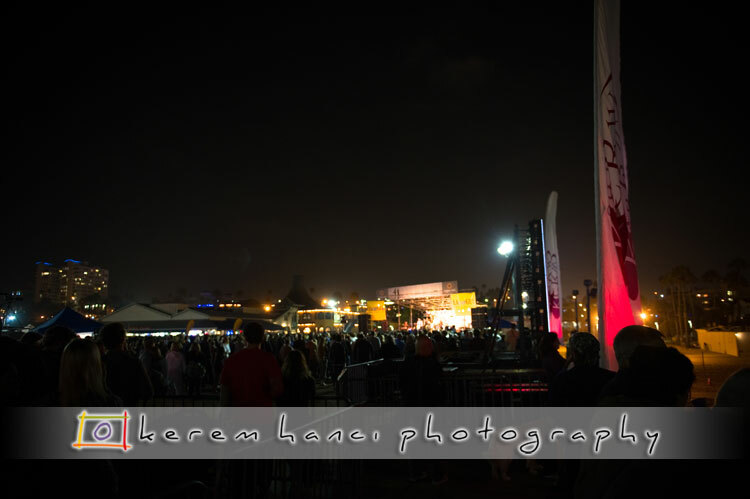 Before TBBT took stage, I went our on the pier to see how the top-billed band Dawes were doing, and I am pleased to report that the Pier was packed and the band's devoted fans were braving a some-what chilly September evening. Next week, more musical shots with The Bad Bad Things! Have a great weekend! With the hustle and bustle of my daily life, these weekly blog emails remind me to be present to your artistry. There is too much competing noise these days between by corporate job and living in the city. Thanks my friend. I hope these weekly emails become a weekly mainstay! Keep the great work!! !